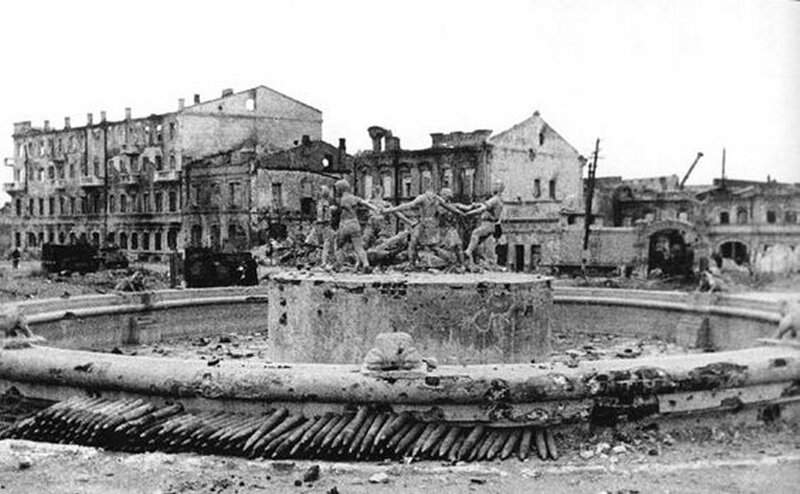 The Barmaley Fountain is an informal name of a fountain in the city of Volgograd (formerly known as Stalingrad). Its official name is Children's Khorovod. 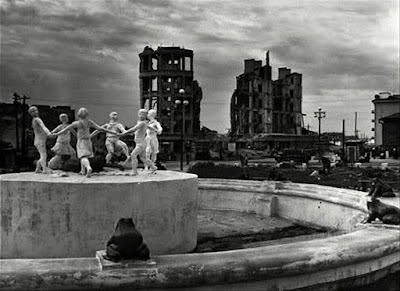 The statue is of a circle of six children dancing around a crocodile. 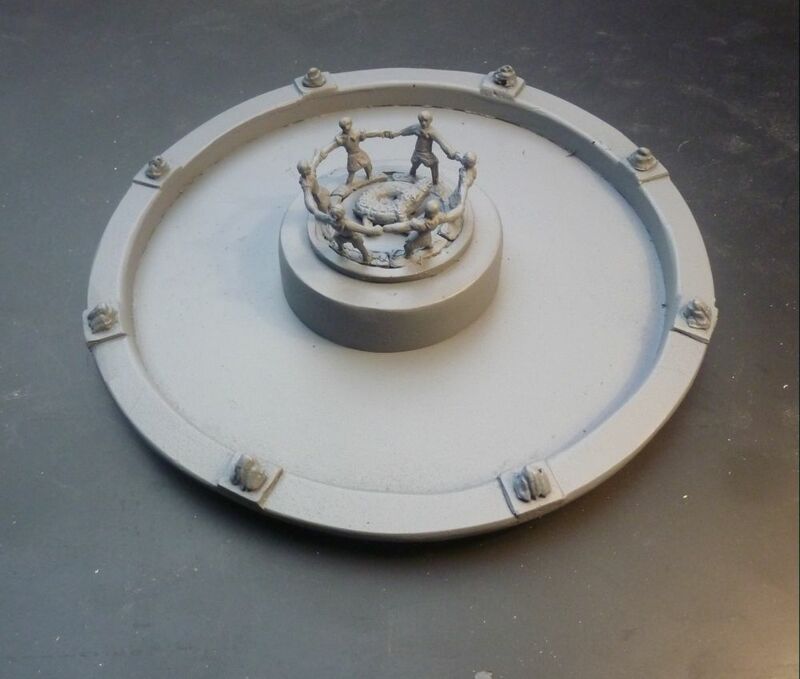 While the original fountain was removed in the 1950s, two replicas were installed in 2013. "Probably the most iconic scene of the battle . Six children dressed as young pioneers dance around a crocodile while behind them the shattered ruins of Stalingrad are on fire. 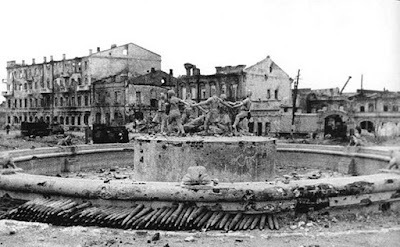 The famous Stalingrad fountain a symbol of defiance during the most crucial battle of the war"